The post-TakeOver tapings are already starting to dry up, so that means it's time for a new batch of tapings. NXT's making sure that we've got a full month's worth of shows, and judging by the absolutely stacked black-and-yellow roster, they finally have enough to sustain them for that long. NXT General Manager William Regal starts the tapings by announcing a Fatal Four-Way for the vacant NXT Women's Championship at NXT Takeover: Houston, which immediately features Mae Young Classic winner Kairi Sane in one of the spots. The other three competitors will be determined in qualifiers spread out over the episodes taped tonight. SAnitY comes out for Eric Young to cut a promo on Adam Cole, who he's facing in this episode's main event. Lars Sullivan def. Oney Lorcan. Lars tries to attack Oney after the match, but Danny Burch comes down to make the save. Heavy Machinery def. two local talents. Kassius Ohno def. Fabian Aichner. Adam Cole (with the Undisputed Era) def. Eric Young (with SAnitY). 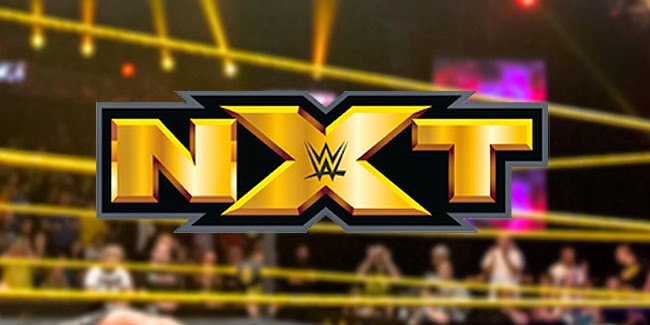 Thoughts: NXT continues their trend of emphasizing most of their top signings, going by the appearances of Danny Burch and Fabian Aichner, as well as CFO inserting themselves pretty much everywhere. It's also a good thing that the vacant NXT Women's Championship situation is addressed early on, and a tournament of sorts to determine the players at Houston is easy and good long-term booking. Ruby Riot and Nikki Cross def. Billie Kay and Peyton Royce. Nikki comes out for this match in the middle of it, leaving Ruby to start it without her. Lio Rush vs. Aleister Black doesn't begin after Velveteen Dream ambushes Rush and confronts Aleister. Drew McIntyre def. Roderick Strong to retain the NXT Championship. The Undisputed Era comes out to say something to Strong, leaving both he and McIntyre confused. Thoughts: Wow, this looks to be the lean and mean episode of this set of the tapings. The main event championship apparently got a standing ovation, Ruby and Nikki teaming together is always a formula for fun stuff, and the appearance of Lio Rush (despite not getting to wrestle) is definitely something to write home about. Peyton Royce def. Nikki Cross and Liv Morgan in a triple threat qualifying match for the NXT Women's Championship match at NXT Takeover: Houston. The Undisputed Era come out with Taynara Conti to stop Nikki Cross from winning. Velveteen Dream def. Lio Rush. Dream does Aleister Black's seated pose after the match. Lars Sullivan def. Danny Burch. Street Profits def. two local talents. Thoughts: Lio Rush finally gets his debut, and it's clear that they're not taking the easy indy blue-chipper way out with him. The good thing about this episode is that it makes quite the effort in fleshing out NXT's midcard. The actual, tangible storyline developments between the different midcarders (Velveteen Dream, Aleister Black, Lars Sullivan, Danny Burch, Oney Lorcan, Cien, Gargano) is enough to tide over the lack of an actual midcard championship for now. Taynara Conti also comes out as the female Undisputed Era member to counter Nikki Cross on SAnitY, and while Conti has quite the impressive background, we're not quite sure if this was a necessary move—Conti being paired with the ROH guys, and the stable needing a female member in the first place. Still, three indy veterans certainly aren't a bad set of mentors to have for a crossover personality. Let's see how this pans out, but it's also quite sad that Nikki isn't getting a shot at the title soon. That said, this is enough to make me realize just how stacked the roster is at this point, and if it wasn't clear to everyone yet that one hour just isn't enough for NXT the television show, this episode should be a pretty obvious sign. Ember Moon def. Ruby Riot and Sonya Deville in a triple threat qualifying match for the NXT Women's Championship match at NXT Takeover: Houston. Aleister Black def. Raul Mendoza. Velveteen Dream appears at ringside during the match. Kassius Ohno def. Cezar Bononi. SAnitY def. The Undisputed Era in a six-man tag match by DQ after The Authors of Pain come out and attack them. Thoughts: Interesting that the AoP go for SAnitY and not the Undisputed Era as well. Maybe they're saving that interaction for a future episode, but it should happen to underscore just how CFO made enemies out of the entire NXT locker room. As a whole, despite the Undisputed Era antics being entertaining and buzzworthy and an important emphasis rightfully being placed on the women, there's a huge lack of NXT Championship action after the October 4 episode. It means they haven't quite figured out what they're going to do with Drew, Roddy, and Cole just yet. Hideo Itami is also quite conspicuous in his absence during the entire set of tapings; Aleister Black and Velveteen Dream had way more face time than he did. NXT has a huge time management problem, made even worse by its continuously-expanding roster, and we're hoping Triple H is already setting things in motion to address this. Hopefully it balloons to a two-hour show at the end of the year.